The book is coming out soon, but it’s pure text, so as a supplement to all those thousands of words, I’ll be making use of WordPress’s gallery feature and sharing pictures worth thousands more. Finca: Any rural mountain land you own is your finca. A finca is not necessarily a farm, because your finca might not produce anything or have any animals on it. It might have a house or some sort of building, or it might just be wild mountainside, but if it has boundaries and an owner, it’s a finca. Across the Spanish-speaking slice of the global coffee production belt, finca is the unanimous term for property someone owns, without referring to what that property is used for. 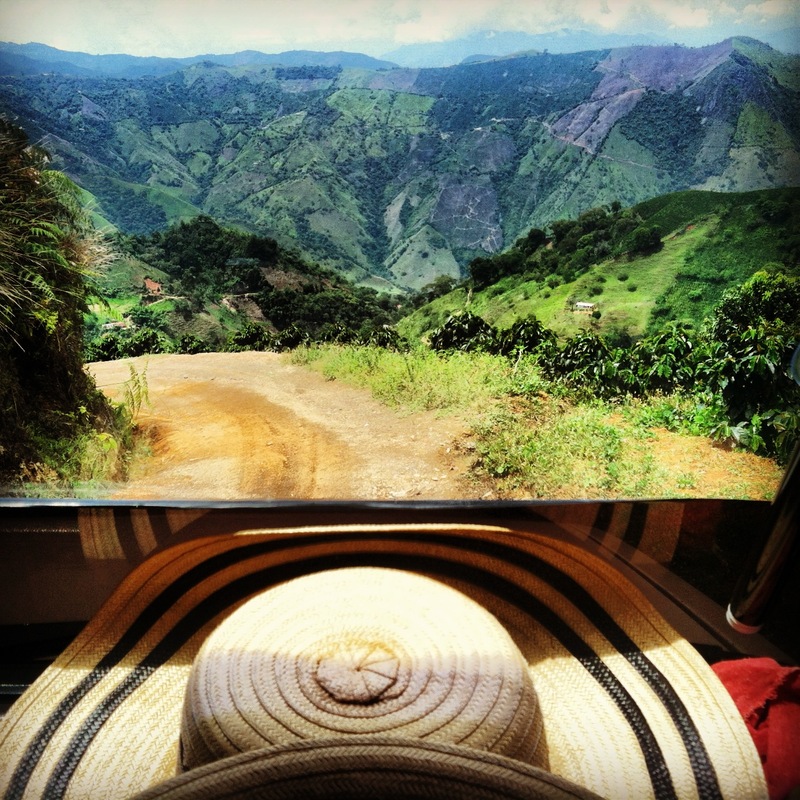 In Colombia’s Department of Antioquia, fincas will always be steep and breathtaking. People often plant coffee right up to the four walls of their houses. Coffee growing and processing are not easy endeavors, but they aren’t ugly either. Typical morning. Growing coffee can be pretty rough, but it’s certainly easy on the eyes. Rice cooker gets second life. Pingback: Dispassionate Coffee | W h e n . C o f f e e . S p e a k s .
Pingback: What’s up with the cover of “When Coffee Speaks?” | W h e n . C o f f e e . S p e a k s .